We have a very personal approach to each project we undertake and nothing leaves our factory without meeting our expectional high standards. 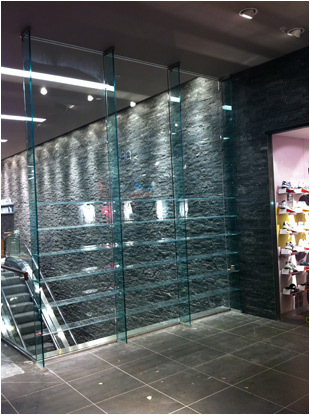 Glass can be bonded to almost any material such as stone, tile, metal and obviously glass, giving no limit what so ever to the design possibilities. Once bonded together the materials form any unbelievably strong bond that is virtually impossible to break.